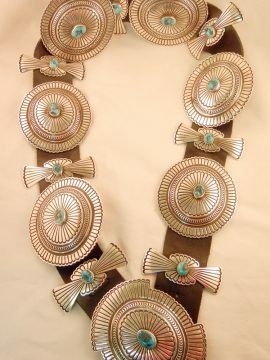 While known for his traditional and intricate maiden pieces, Bennie Ration is not known to make many cuff bracelets in this style, making this sunface cuff unique. 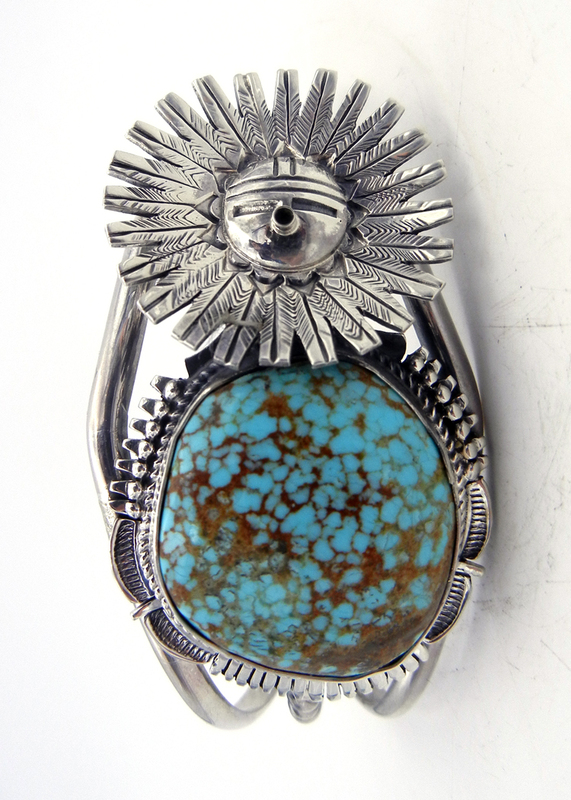 The piece features a base of a thrice split sterling silver shank, the center band comprising a sterling silver rope pattern, topped with one of Bennie’s recognizable kachina pieces, in this case, a sunface. 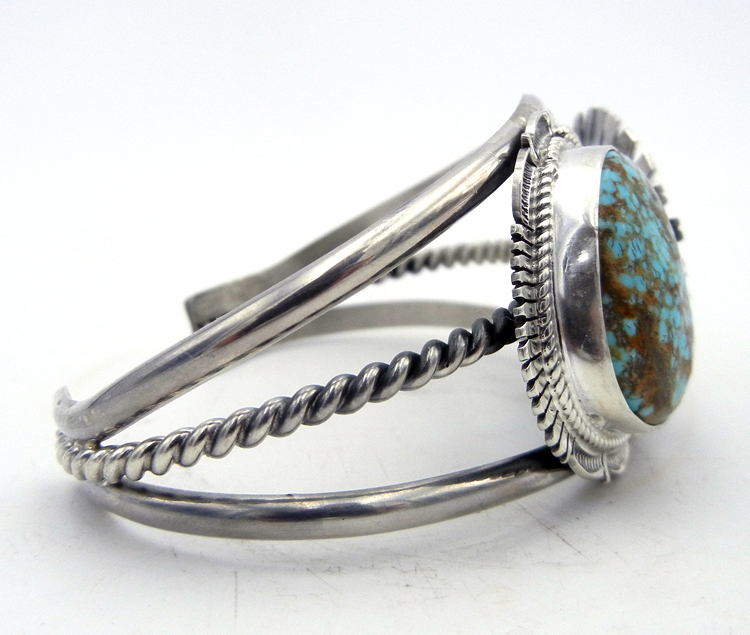 The body of the sunface is made up entirely of a round, blue-green turquoise stone, set in a simple sterling silver bezel and containing portions of brown matrix running throughout. 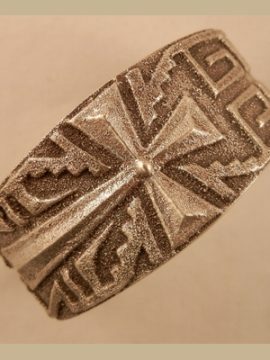 It is bordered by a sterling rope pattern at the base, followed by a stamped and cut out sterling silver band, which is also repoussed with two rows of sterling silver dots. 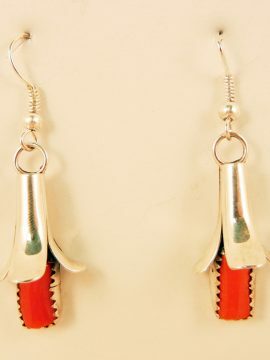 Attached to the shank, just above the body, is a detailed sterling silver sunface, complete with deeply grooved rectangular eyes and a round, appliqued mouth. 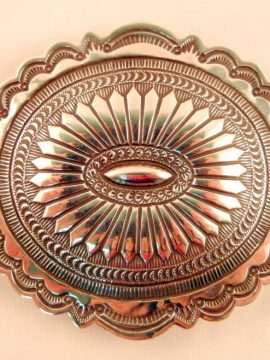 The forehead is stamped with vertical and horizontal lines, while the head is surrounded entirely by delicate, detailed sterling silver feathers. 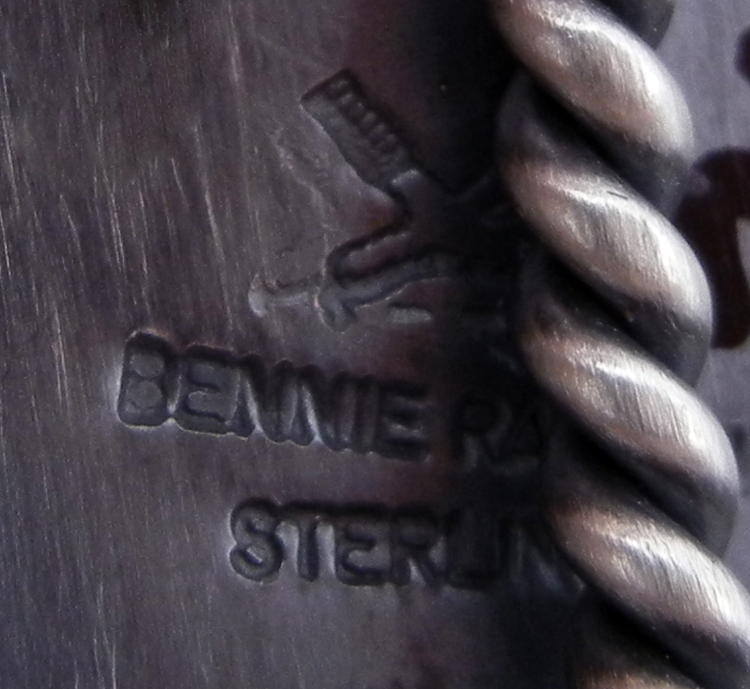 1 1/2″ wide with an inner end to end measurement of 5 7/16″ and a 1 1/4″ opening. 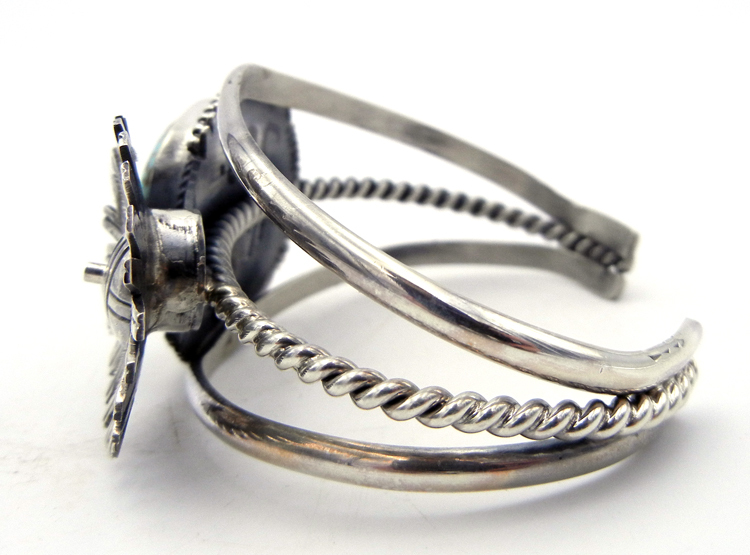 Cuff is slightly adjustable.